34" tall, 43 1/2" long, 14 1/2" wide & the saddle is 24" above the floor. 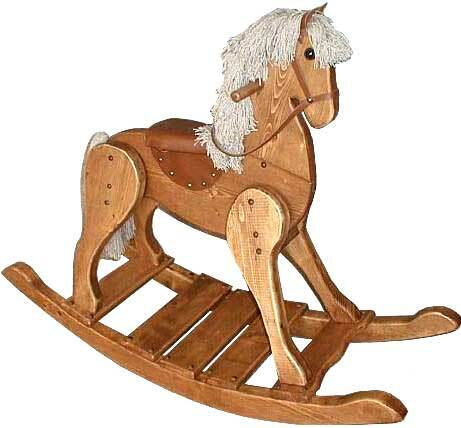 Big Zeke is our most graceful & elegant Rocking Horse. It is strong enough like all our horses to support all weights, even adults can rock this beauty, but they might get a little saddle sore & cramped in the legs. Generally for children up to 12 or so years old. This horse is preassembled and then broken down for shipping. Assembly is quite easy and should take no longer than 20 minutes. Phillips screw driver is required.